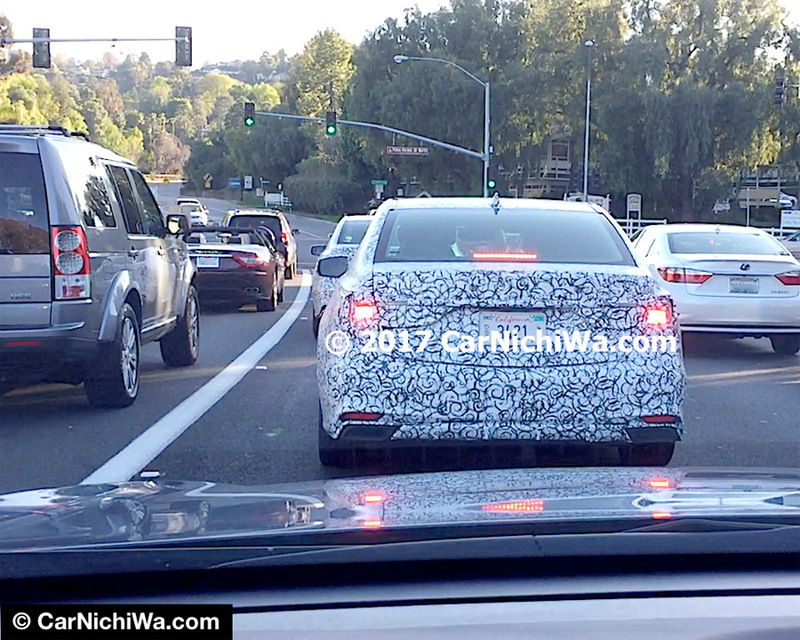 Could an RLX MMC be coming for the 2018 model year? 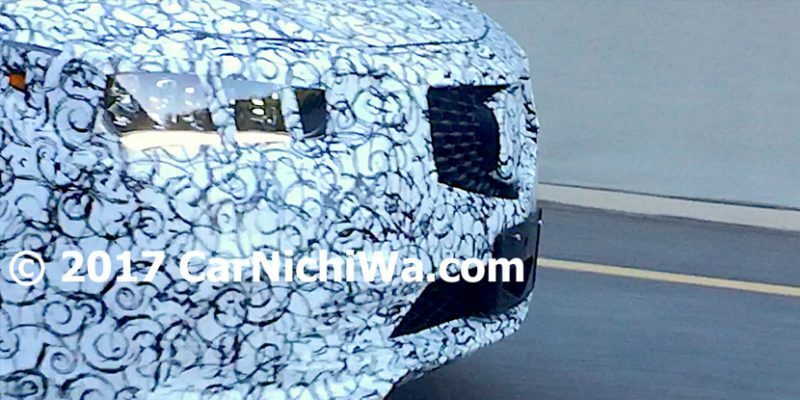 New online rumors and this recently spied camouflaged vehicle suggest it may be so. The mystery car with RLX proportions was caught on video by CarNichiWa.com in Rolling Hills Estates, California. A closer look at its greenhouse, C-pillar, and body-side character line are definitive clues that it is indeed based on the current RLX. There are a few differences though – the taillights, rear bumper, headlights, and front grille, seem to have been revised to conform with the latest Acura MMC trends. 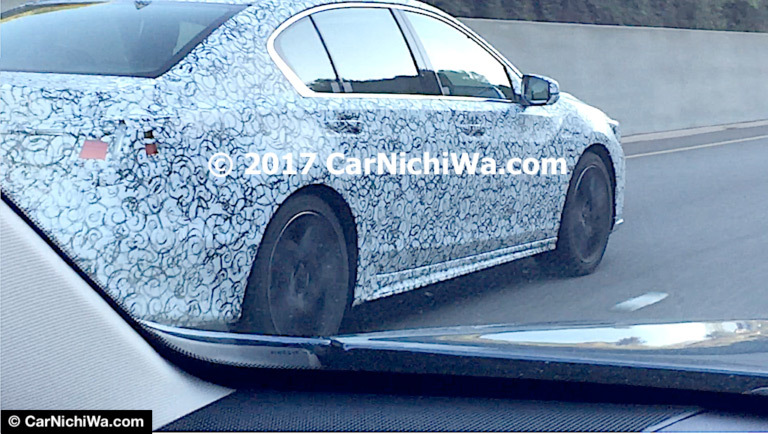 Aside from the expected exterior styling changes, rumors say that the 2018 RLX could also get interior updates and improvements to the hybrid system. Check out the video below, and visit CarNichiWa.com – 2018 RLX? 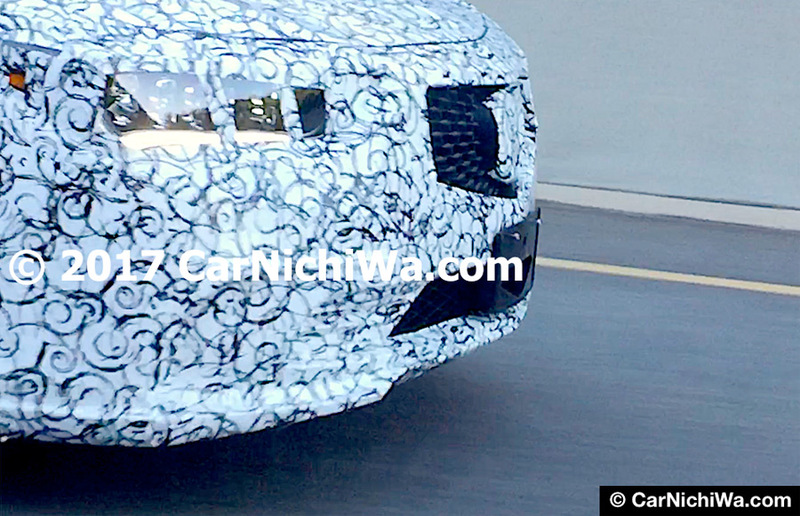 We Spot Acura Prototypes On the Street, to read more about the sighting. Hoping it looks good with the new grille because the current RLX is kind of meh. I also wonder if the next Legend will also adopt Acura’s pentagon grille or do something different.